The "Immigration Health Surcharge" was introduced in April 2015 and from December last year it was hiked from 200 pounds to 400 pounds per year. It is imposed on anyone in the UK on a work, study or family visa for longer than six months in order to raise additional funds for the country's state-funded National Health Service (NHS). According to the organisation, one in 11 NHS clinical posts are currently unfilled, rising to one in eight for nursing vacancies, and the severe shortage is likely to grow to around 250,000 by 2030. 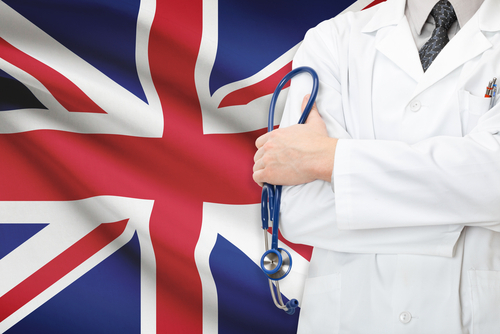 Doctors, nurses and other healthcare professionals from countries like India are often referred to as the backbone of the UK's healthcare system as they take up critical posts across hospitals and clinics in the country, the BAPIO pointed out. BAPIO has been at the centre of organising fellowship programmes for doctors from India to fill NHS shortages while completing their training in Britain as a win-win arrangement. But it fears these efforts would be hit as a result of the additional financial burden imposed by the health surcharge. Short-term migrants, including tourists on visitor visas, are charged differently for secondary care treatment by the NHS at the point of visa access. Other groups have also questioned the extremely high surcharge on the grounds that it amounted to double taxation for long-term migrants, who are already expected to make tax contributions towards the care system. The UK government says since the surcharge was introduced in 2015, it has raised over 600 million pounds, which has been ploughed back into health budgets. It expects to raise an estimated 220 million pounds in extra funding with the doubling of the surcharge, with the funds aimed at "sustaining and protecting" the country's healthcare system. We welcome use of the NHS by long term residents who still need leave to remain, but we believe it is right that they make a fair and proportionate contribution to its long-term sustainability," a UK Home Office spokesperson said. "Parliament agrees and has approved the order we proposed to increase the immigration health surcharge so it better reflects the actual costs to the NHS, the spokesperson added.